Today's Bookish Goodies Guide is about one of my all time favorite classic books, Jane Eyre by Charlotte Bronte. I have enjoyed this book since I was in high school, when I was forced to read it for an English paper. Watching my beloved Fassbender play Rochester in a recent adaptation just reinforced my intense love. 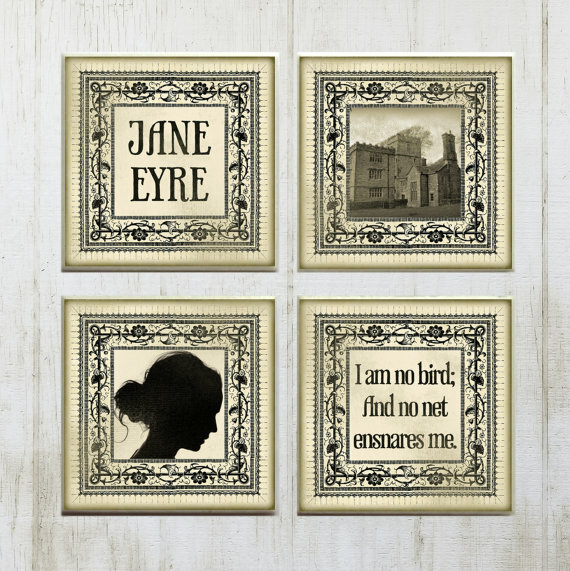 Clearly I am not the only person who feels this way, as Etsy is FILLED with super cool bookish gifts inspired by Jane Eyre. 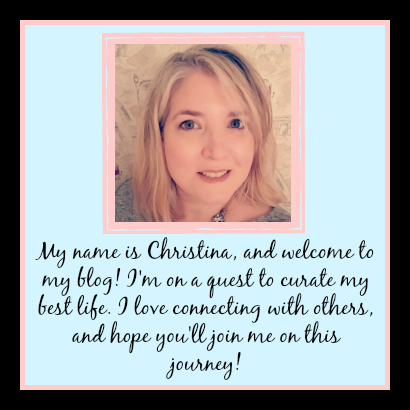 Here's my Top 10 picks from the plethora I stumbled across!! For $15.99 over here on the Little Literary Etsy shop you can get this adorable abridged and illustrated adaptation by Melissa Niemann! This is so cute, and honestly just cracks me up. I would love to see how she adapted this!! 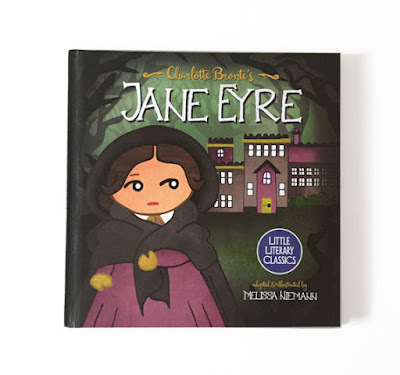 Surely there's not a creepy and crazy wife burning in the attic in the children's edition. 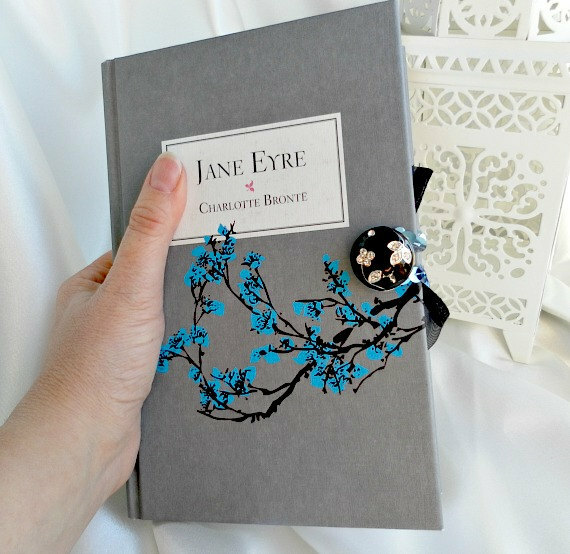 Take a look at this beautiful book purse over here on the Bookarelli Etsy shop for $69.48. I have seen a lot of book purses, and have even purchased a Harry Potter one for my daughter, but this one looks more elegant, in my opinion. I think it would make a pretty clutch for dressing up occasions, where you only need a couple select items in your handbag. 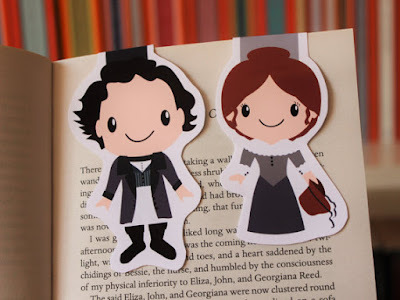 Everyone loves a good bookmark, or at least the people who would frequent a book blog, and these magnetic ones from Beyondthepages19 for $3.91 over here are adorable. I love this style of bookmark, as they tend to get lost a little less often. For $10.50 over here at The Quoted Page you can get this set of 4 tile magnets inspired by Jane Eyre. The quote "I am no bird; and no net ensnares me." is on all sorts of goodies, but I think it looks elegant here. This beautiful book scarf bucks the trend of literary scarves that are just words on a creamy background. 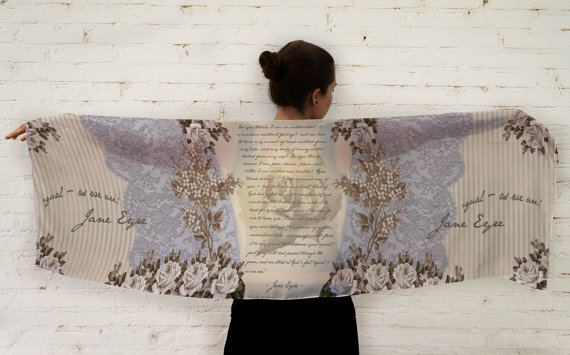 It is beautiful and feminine, and I think it would make a wonderful conversation piece. It is $60 over here at Enjoy the Traffic. Here is that quote again! This beautiful and delicate bracelet can be found over here at Emery Drive for $16. 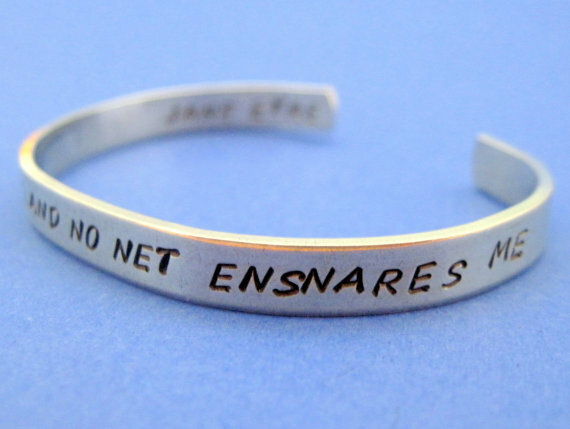 It's a beautiful reminder, and would be the perfect accessory to dress up your average jeans and t-shirt outfit. And hey, here's the t-shirt!! Same quote, with a little more added at the end. 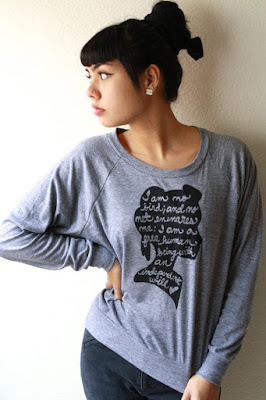 You can find it for $38 over here at Neena Creates. This shirt screams jeans and a cute color of converse, in my opinion. But then I blog about books and not fashion, so I may not be the best fashionista to plan your literary wardrobe. 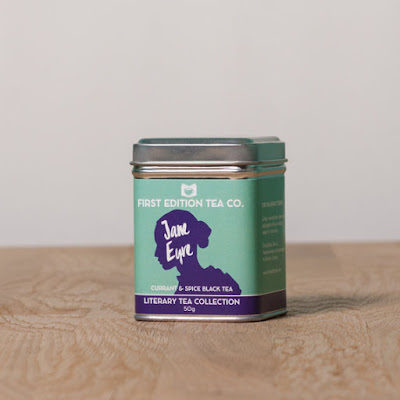 For $12.00 over here at First Edition Tea Co. you can get some loose leaf Currant and Spice Black Tea leaves in a cute Jane Eyre reusable tin. This is the drink to have in your cup when it's not appropriate to drink the scotch from the glass up above! And I guess this is the cup to hold your Jane Eyre tea in! 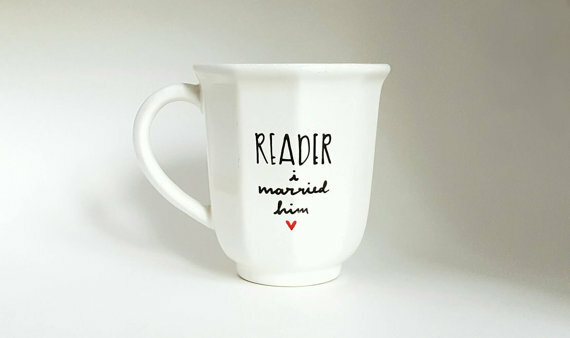 I love this simple coffee mug for $18 over here at Farizula Designs. 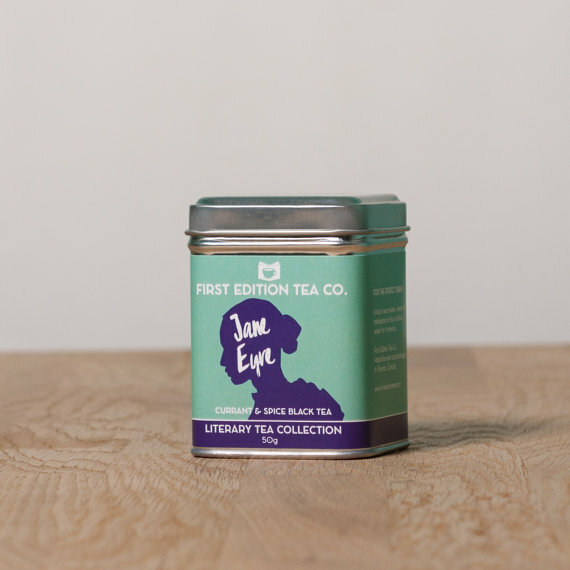 Jane fan or not, this would be a great edition to your coffee mug collection. 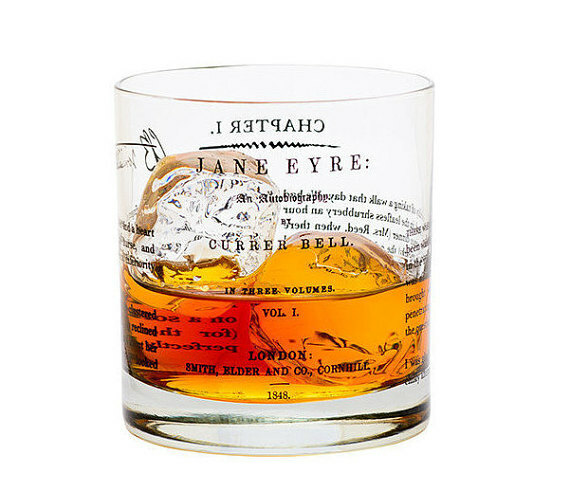 I hope all of my Jane Eyre fans have enjoyed this second installment of my Bookish Goodies shopping guide. Writing these posts makes me feel like I'm being productive when I scour Etsy in the middle of the night from my cell phone! Do you have any fandoms you'd like me to do a shopping guide for? If so, let me know in the comments either here or over on my Facebook page. Let the shopping begin! !